Opened in 1998, Terme della Versilia is the only spa located by the sea along the Tuscan coast. Our spa & resort invites you to experience the old world, while enjoying all the luxuries of modern times. 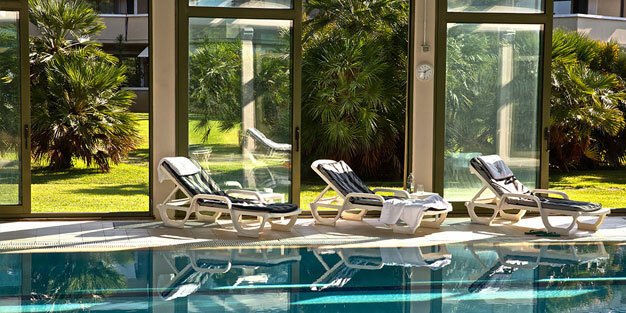 Terme della Versilia is located in an area of lush natural beauty. But besides pleasing the eye, nature's bounty can be used to heal the body and mind. Natural spring waters as well as naturally occuring peat, make Terme della Versilia a singular experience. Terme della Versilia is available not only for hotel clients, but also for external guests. The water springs forth at our vicinity abundunt in bromine, sodium, and ten times richer in iodine than sea water, leading to it being classified as bromo-iodic salt water. Pure and bacteria-free, it has countless therapeutic properties which benefit the body. Iodine stimulates the metabolism, bromine has sedative effects, sodium eliminates excess fluids, and much more. Together, these individual assests create an incredible cocktail of natural elements with a plethora of uses; relaxing muscles, soothing tension, fighting cellulite and inflamation of the joints, aiding in the slimming process and increasing vitality, to name just a few of it's beneficial qualities. Our peat is of the highest quality, originating from Lake Massaciuccoli, it has undergone a thousand year metamorphosis from the vegetable species, shangum moss, into the dark and creamy peat it is today. A substance with a plethora of beneficial qualities, peat accelerates the scar-healing process, balances the PH levels of the skin, promotes the renewal of skin, and through activating microcirculation it improves the overall tone and vitality of tissue. Thanks to the scar-healing and re-vitalizing properties of this wonderful gift of nature, many different dermatological problems such as psoriasis and dry eczema can be successfully treated. Clinical experience and studies have also demonstrated how efficient the peat can be in the prevention and healing of any articular ailments. Peat is a gift of nature, harnessed to benefit the people of today. All Spa treatments are assisted by our highly qualified medical team with specialists in Hydrology, Dermatology, Endocrinology and Osteopathy. Moreover, we offer our very own, exclusive cosmetic line. 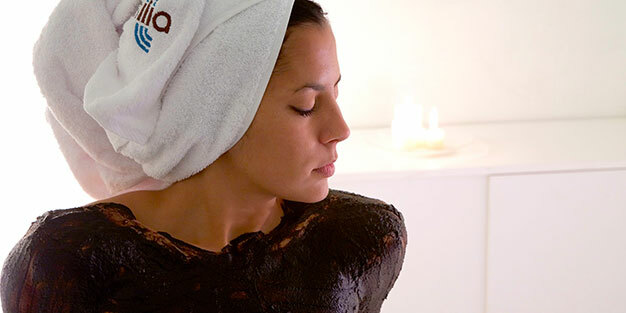 Equipped with the highest standards of excellence, up to date knowledge, modern facilities, and the wisdom of ages past, Terme della Versilia is prepared to facilitate treatments and therapies for every need, desire, or whim.